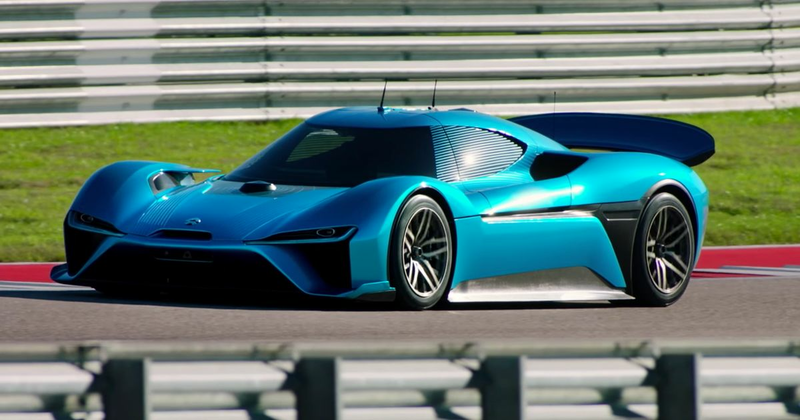 Not content with smashing the electric Nurburgring record, the Nio has just bagged another headling-grabbing lap time with its EP9 hypercar. The lap in question? The fastest ever for an autonomous car around the Circuit of the Americas in Texas. “Hold on,” you’re probably thinking. “What did it have to compete with?” The answer is, so far as we can see, nothing. So the EP9 could have happily trundled around at 30mph and still claimed the autonomous driving honours. Except it didn’t just trundle around: the car lapped at speeds of up to 160mph, clocking a 2min 40.33sec effort. And thankfully, the Nio team saw fit to put that in some sort of context by lapping with a human behind the wheel, which resulted in a time of 2min 11.3sec and a top speed of 170mph. That in itself is another record, as it makes the EP9 the fastest production car at COTA. Again, it didn’t have much in the way of competition for context. It’s about the same as a Moto2 bike, and about six to seven seconds off the pace of an LM GTE car. So it’s no slouch for a 1800kg car, and although it’s packing a ridiculous 1341bhp, high-powered electric vehicles have heat management issues to think about when undertaking high-speed laps. In fact, during that Nurburgring record we talked about earlier, the EP9 wasn’t running at full power at any point to avoid overheating. Just six EP9 hypercars will be made, with the intent of making a sort of statement. Nio is a sub brand of Chinese electric car firm NextEV which has ambitions that go much further than limited-run hypercars, although the company has thus far been relatively tight-lipped on its exact plans. For now, we’ll just enjoy the EP9 hypercar quietly tearing around the world’s race tracks.